A high quality head mounted, lightweight binocular that provides excellent magnification and twice the field of view of conventional telescopic systems. The Beecher Mirage allows people with a visual impairment to view objects at a normal distance while using high levels of magnification. They are ideal for tasks such as watching TV, the theater and sporting events. 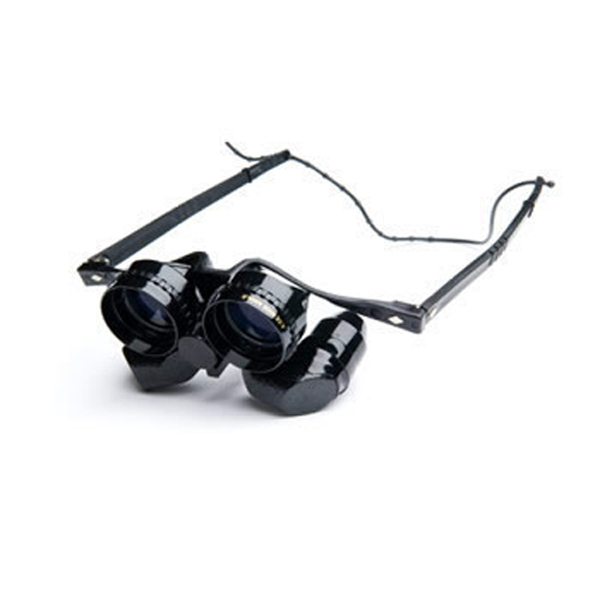 The easily removable spectacle frame offers the option of using the Beecher as a conventional telescope. All features easily mounted and adjustable for maximum viewing performance.